Speedy the cheeky house bunny: Christmas Countdown December 13th! !2 Sleeps to till Christmas ,the Countdown continues with today's entry and its from The Outgoing Mayoress of Blogville and Everybodys Favourite BFFF Madi! Doesn't she make the perfect gift? Don't forget you have till Midnight Christmas Eve UK time to send in your photo's of your Decorations and Trees with you in them if Possible!send them to my Mummy at [email protected] .Remember my 3 favourites will get a surprise Christmas Gift after the big day! And you still have time to enter our ASPCA giveaway closing is at Midnight tonight UK time so leave a comment on the post HERE Remember its world wide! 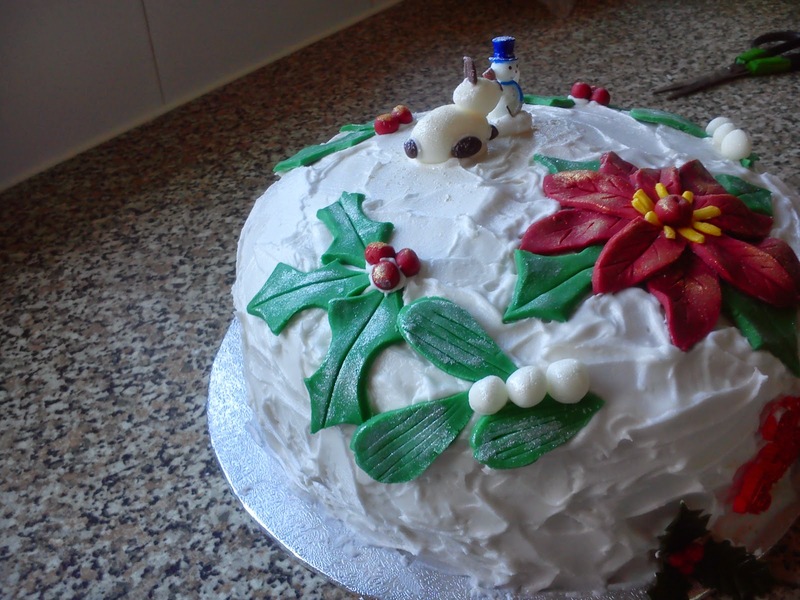 Now I was going to show you some more of my Christmas House But Mum has CHanged the Decoration on the Christmas cake as she wasn't happy with the way it looked so here it is. What do you think?I think its Pawsome! Now come back tomorrow as we will be showing some more of my Christmas House and the winner of our ASPCA will be announced! I'm with you, that cake is seriously pawsome, well done Mum!!! And if you need any help eating it…..we're available? Way to go Madi and Speedy OMD that looks so yummy. Have a super Saturday. Thank you for such a nice honor I am excited! That cake is beautiful! Wow!! p.s. Love your Christmas header photo, Speedy! We Recognize that KITTY... THAT is our Mayoress... MADI..
OMD OMD SPEEDY..... your Mum put YOU on the cake with a Snow Freak... Knock that thingy off there... and you can be KING of the CAKE... like at Mardi Gras. 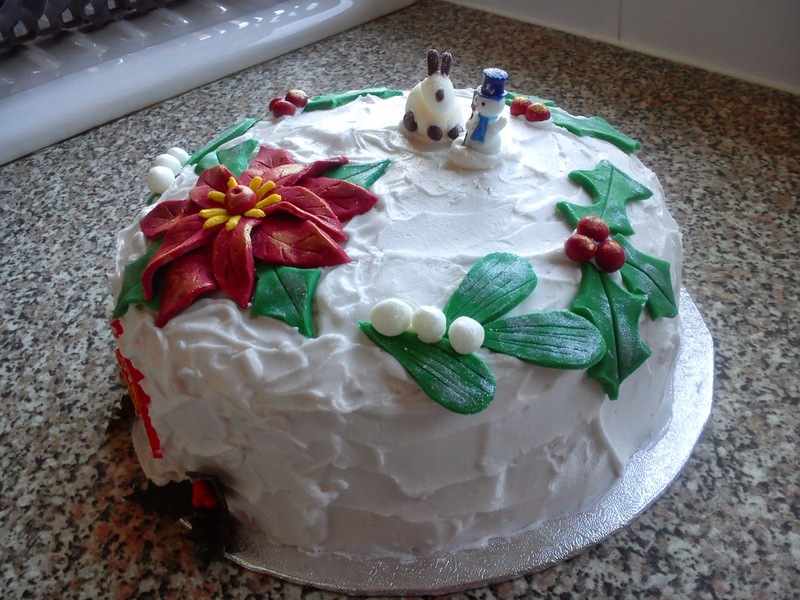 WE LOVE HOW YOUR MUM CHANGED THE CAKE... FUR THE BETTER. IT IS A MASTERPIECE NOW. 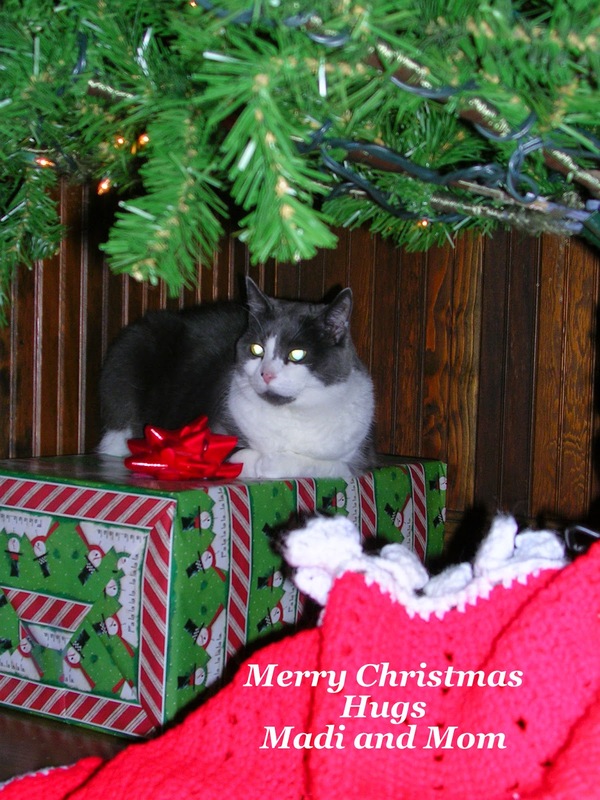 Madi is the 'purrfect' gift for sure Speedy!! Your Mom's cake looks delicious...she is very talented. I love your Christmas series alot. Oh WOW...how good is she.....but we gotta ask...did some bunny run acrros it and get a mouth full...so she had to fix it? Love the photo of Madi. I like your cake even better. There's just one problem…it's too pretty to eat! Madi would be a lovely present beneath my Christmas tree. Madi is beautiful and so is that yummy cake! I don't care how the cake looks-just how it tastes. That cake looks amazing - my human couldn't do anything like that! Madi looks good under her tree. Your Mom's cake looks wonderful! We would love to have a "Madi gift" under our tree! It's a toss up as to which is better...how the cake looks or how it tastes. It is beautiful! OH SPEEDY and MUMMY! That cake, it is perfection. 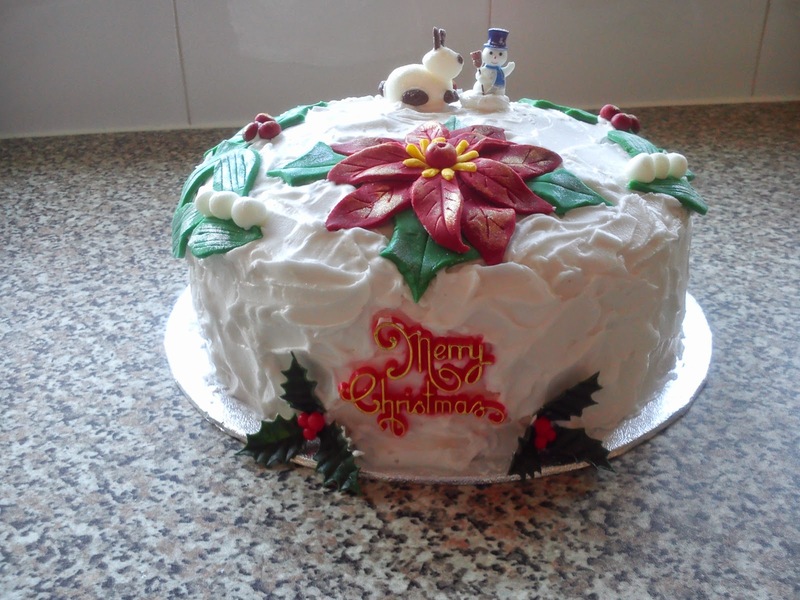 HOW HOW HOW mummy, did you fashion the mini Speedy for the top of the cake? This is precious. Have you ever considered doing miniatures of Speedy bunny? Have you tried out this needle felting that has taken Blogland by storm over the last few years?Speedy would be the perfect model for such a piece of art. But your cake is a tribute to all things sweet and precious: SPEEDY THE CHEEKY BUNNY! Love this. 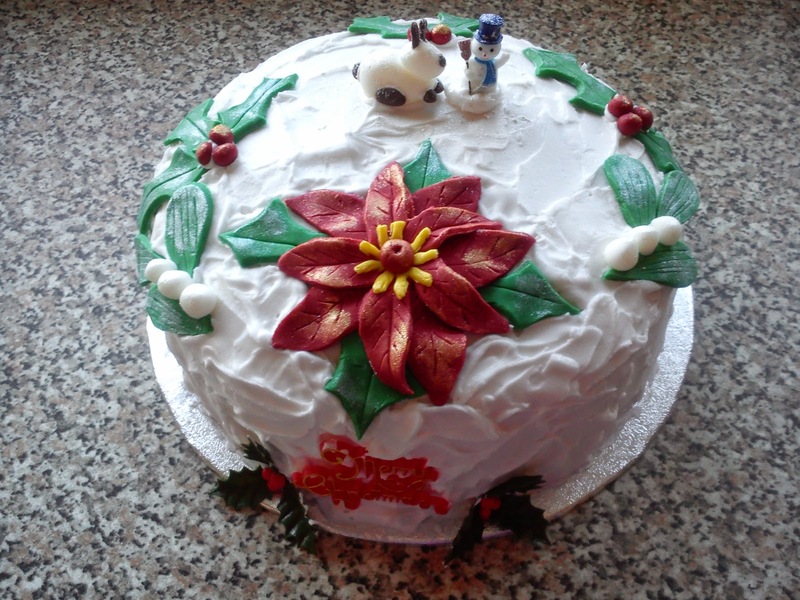 Wow a fancy Christmas Cake. Wish we could have a little bite. iLOVE sPEEDY ATOP THE CAKE!! Madi is a beautiful cat!! Yes, of course that gorgeous kitty makes a wonderful gift!!! BOL! And OMD! That cake looks super tasty!!!! The cake looks great. Particularly with the little sugar Speedy on it!